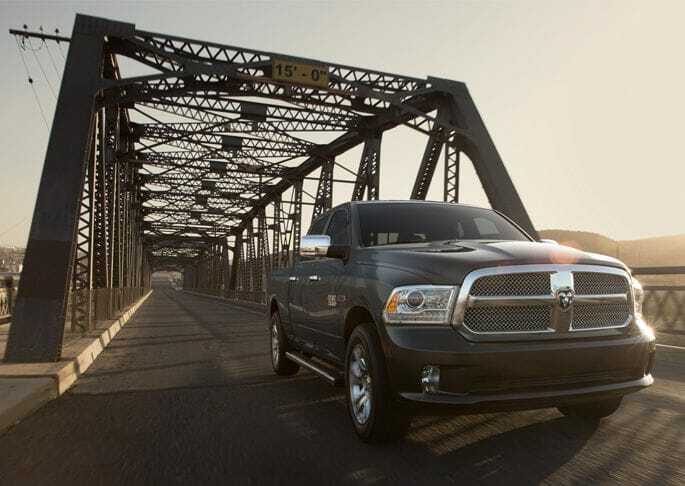 The 2015 Ram 1500 offers the capability you need with the fuel efficiency you want. The Ram 1500 continues to be a segment leading truck in all aspects, including fuel economy, power and capability. New features for 2015 include an available new instrument panel and a new Black Forest Green exterior color. Read on for more information, and if you have any questions, call us (888) 893-4107, or visit our showroom located at 460 Yarmouth Road in Hyannis. Ram's award winning EcoDiesel engine is more efficient than all other V-6 gasoline engines in the category, coming in at an incredible 28 miles per gallon on the highway. Turbocharged at 60 degrees, with dual overhead camshaft (DHC) 24-valve V-6 that produces 420 lb.-ft of torque and 240 horsepower, and 9,000 pounds of towing capability. The EcoDiesel and Ram's other engine options, the 3.6-liter Pentastar V-6 and 5.7-liter HEMI V-8 are paired with Ram's TorqueFlite 8, which is the only eight-speed automatic transmission offered with the 1500's half-ton class. The Ram 1500 is also available in either rear or four-wheel drive, and six speed automatic transmission. The 2015 Ram 1500 is both rugged and stylish, and keeps in mind the importance of capability in regards to style. Each model with the Ram 1500's lineup offers different stylish distinctions, including masculine colors for both the interior and exterior. With the choice of three different cab styles and three box lengths, every Ram customer is sure to find the dimensions that fit their needs. 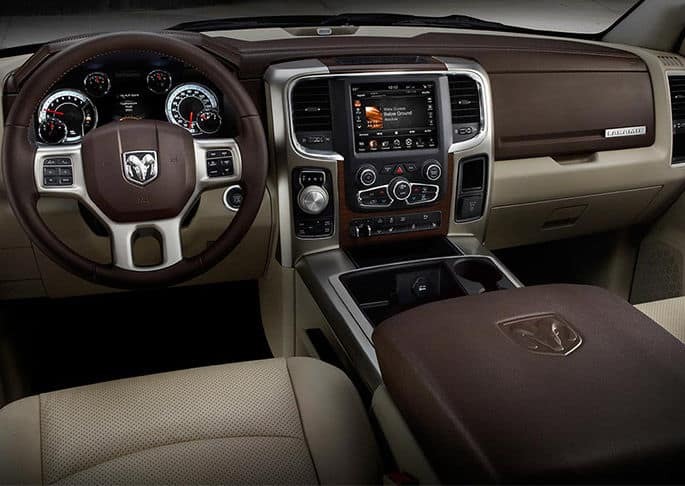 The Ram 1500 also features intuitively easy-to-use technology with an available 8.4-inch touch-screen media system. The 1500 also offers available Bluetooth streaming audio, remote start features in addition to optional heated front seats, rear seats and steering wheel. The 2015 Ram 1500 is one of the safest vehicles on the road, and features tons of standard and optional safety and security features, including antilock brakes, electronic stability system, Hill start assist, trailer-sway control, electronic mitigation as well as available integrated trailer brake controller, backup camera and front and rear parking sensors. The Ram 1500 is a fuel-efficient yet fully capable half-ton truck that continues to stand out as the best in its segment.